European Youth Foundation – Cut-off date for pilot activity applications | European Youth Foundation – Cut-off date for pilot activity applications – European Youth for Action! Tak￼e this opportunity to apply before the cut-off date of 02 September 2018. 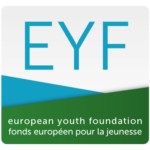 The European Youth Foundation supports activities, studies, research, materials and documentation in line with Council of Europe values and work. Open to local, national, regional NGOs/networks. Ask EYFA for support in applying.